January brings the ringing in of the New Year but it also unfortunately means we are in the middle of flu season. Across Metro-Detroit and around the country, visits with friends and family over the holidays bring us into much higher contact with potential illness. The Center for Disease Control provides excellent information on how to slow the spread of the flu. Below is a quick summary of their recommendations for the disinfection of schools- the procedures can be applied to any home or business. The article in full can be found here. Cleaning removes germs from a surface whereas disinfecting kills the germs. Sanitizing refers to any combination of the two that reduces germs to a level considered acceptable by public health standards. 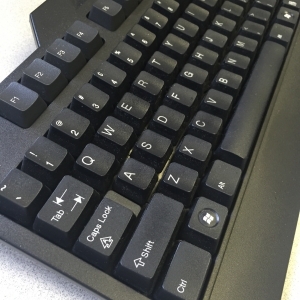 Daily sanitization of doorknobs, handles, computer keyboards, telephones, counter tops, tables will help to slow the spread of illness. In commercial buildings it is important to remember surfaces like printers, office items such as staplers, cafeteria and kitchen appliances and communal drinking fountains. Within schools, daycares or a home with children, be sure to sanitize toys, interactive learning tools and lower surfaces that come into routine contact with little hands and mouths. Everyday items we don’t often consider sanitizing that should be include cell phones, car door handles and steering wheels, re-usable beverage containers and remote controls. Relatively speaking, the flu is not an extremely hardy virus in terms of removing it from surfaces. Flu germs can potentially infect a person for only 2 to 8 hours once on a surface. This means simple sanitization practices are sufficient to remove it. Extreme measures are not required and could potentially do more harm than good by aggravating asthma, eyes, skin as well as other hazardous side effects. 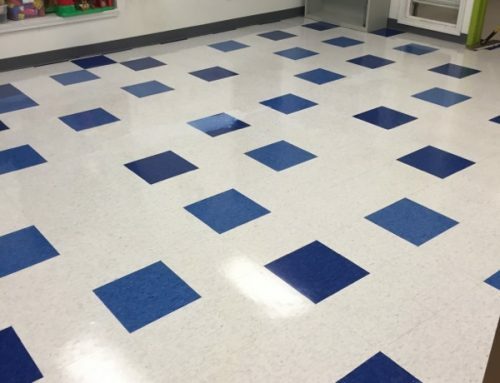 For commercial buildings, verify with your janitorial service that they are using EPA approved disinfectants that will safely remove germs from your facility. Washing surfaces with a general household cleaner, rinsing with water and then disinfecting with an EPA approved disinfectant is the best method. The disinfectant should be approved by the EPA to fight influenza A virus. It is very important to read and follow use instructions as well as adhere to any hazard warnings on product labels. Do not mix chemicals unless it is stated safe to do so. MSDS/SDS provides the appropriate use and caution information for chemicals- be sure to reference these before use. The safest approach when handling waste such as tissues and hand towels that could contain the virus is to wear gloves while removing it, followed by thorough washing of your hands. Whether you are cleaning your home or office, being proactive about preventing the spread of the flu on surfaces we often touch will help you kick off 2016 in a healthy manner. Have a question about your cleaning and disinfecting methods? Send us a message and ask! Happy New Year from everyone at Tedesco Building Services in Sterling Heights, Michigan!